At Moncton Fish Market, we receive fresh seafood daily: Fundy lobsters, tender scallops, plump mussels and much more in Moncton. Discover the rich flavour of our Maritime lobster that has solidified our reputation everywhere from the Prime Minister's table to the Court of England, or be enchanted by our delicious, carefully harvested oysters: come see us! Fill a large pot with salt water. Use 1/2 cup of salt per 4 liters of water. Dip the lobster head first into the boiling water. When the water returns to a boil, cook 1 lb lobster for 18 minutes, 1 1/2 lb for 21 minutes and 2 lb for 30 minutes. Once the lobster is cooked, turn off the heat and add a small amount of cold water to the pot, then let the lobster rest for 5 minutes to allow the salt water to penetrate, to preserve the taste. Then, remove the lobster and plunge it in cold water for 10 minutes. The lobster is fully cooked when its shell is bright red and its flesh is easy to remove. 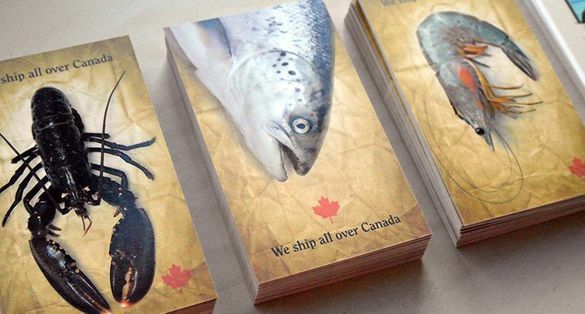 Whether you're in Calgary or Moncton, we deliver our fresh seafood and fish in one day.